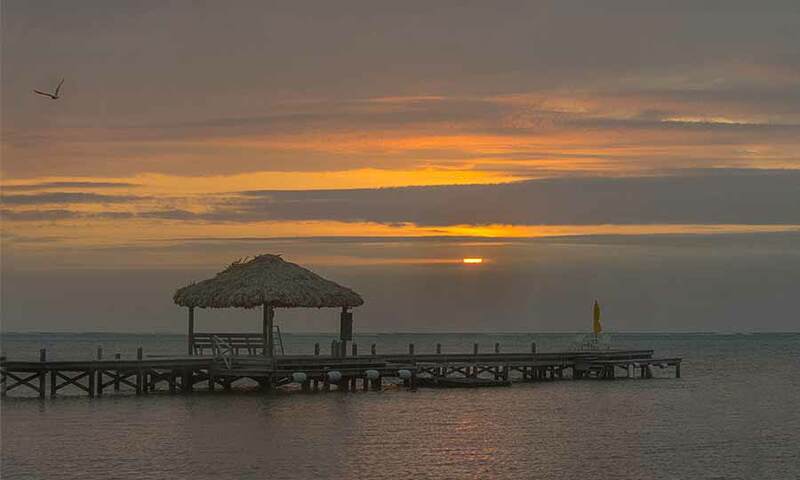 Belize NMS: High pressure influence prevails over our area in the wake of a cold front. 24-hour forecast: Variably cloudy skies with cool conditions and little or no rainfall, except for isolated showers or periods of light rain over southern coastal areas. General Outlook: Mainly fair and mild weather with little or no rainfall during Tuesday, then some cloudy spells with a few showers or periods of rain mostly over southern and along some coastal areas. Today N-NW 10-20 kts Moderate-Rough 4-7 ft ISOLATED SHOWERS OR PERIODS OF LIGHT RAIN MOSTLY SOUTH. Tonight N-NE 10-20 kts Moderate-Rough 4-7 ft LITTLE OR NO RAINFALL. Tomorrow N 10-20 kts Moderate 4-6 ft MAINLY FAIR, COOL AND DRY. 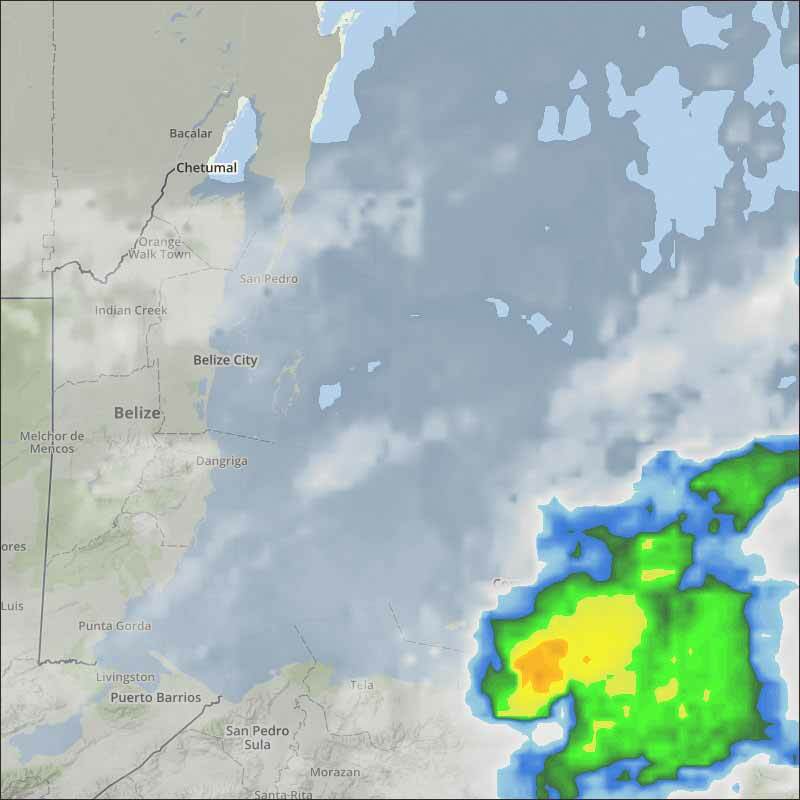 Outlook N-NE 10-20 kts Moderate 4-6 ft A FEW SHOWERS OR PERIODS OF RAIN MOSTLY SOUTH. 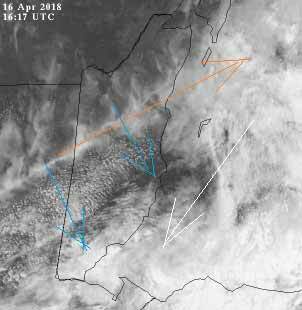 Fresh to strong northerly winds follow a cold front moving into the northwest Caribbean. A line of showers is ahead of the front, with thunderstorms ongoing off the coast of Honduras. Fresh to strong winds and seas to 9 ft are noted over the south central Caribbean, with moderate to fresh trade winds and 4 to 6 ft seas elsewhere. No significant convection is noted elsewhere throughout the Caribbean. The winds and seas will subside as the front stalls then dissipates from eastern Cuba across the Caymans to central Honduras through mid week. Strong high pressure in the central Atlc along with ridging into the northern and eastern Caribbean will continue to support fresh to strong E to NE winds along the coast of Colombia and the Gulf of Venezuela through Fri.
That cool front has now passed over Belize. Still some cool front cloud over Toledo, but the rain, even there, has now passed. There is significant high cloud, making the sunshine a bit hazy, but hopefully all that smoke dust has now been cleared away by the rain. Looks like today will be fairly sunny, cool air from the NE, thing high cloud, probably no more rain today. The Cloud picture. 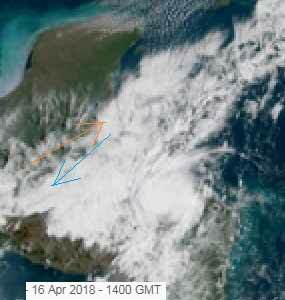 That line of sort of Caribbean cloud, which appears to be moving down from the NNE is largely cool air, and being moved away to the east, away from Belize by the cool air bubble behind the cool front that crossed last night. There is still significant high-level SW cloud, but it is fairly thin.